The secret services of France and Belgium are plotting to stage a false flag chemical attack in Syria to frame Moscow, the Russian Defense Ministry said. Agents of the two countries are cooperating with terrorist leaders in Idlib, RT reported. 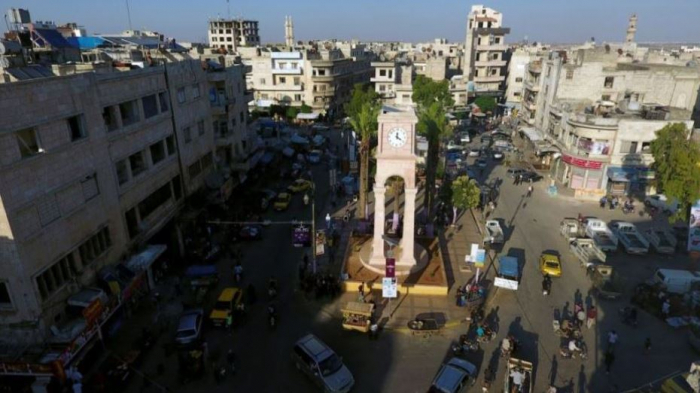 Militants, occupying large parts of the Syrian province of Idlib are readying a false flag attack involving chemical weaponry, the head of the Russian Centre for Reconciliation in Syria, Major General Viktor Kupchishin said on Friday. The attack is being prepared in close cooperation between operatives of Belgian and French secret services and terrorist groups, including the rebranded Syrian Al-Qaeda offshoot – Hayyat Tahrir Al-Sham (HTS, previously known as Al-Nusra Front). Apart from them, the “pseudo humanitarian,” as the General put it, White Helmets group is also taking part in preparations. A batch of poisonous gas, believed to be chlorine-based, has been already delivered to a number of villages in the Idlib province. The poison is packed in canisters disguised as oxygen and natural gas tanks, according to the Russian military. While the “actors” are offered some $100 for playing the roles of chemical attack victims, there’s a distinct possibility that the militants will poison people for real to make the video more “lifelike,” the official warned. It’s not the first time Russia has warned about a false flag attack involving chemical weapons, revealing details about it to the general public. Last September, the Russian military issued a string of warnings of an imminent false flag attack in Idlib, accusing the notorious White Helmets group of being behind it. The attack would be used by the West to launch – again – airstrikes on Syrian government troops, according to Moscow. The incident, however, never happened – probably since it was exposed beforehand.